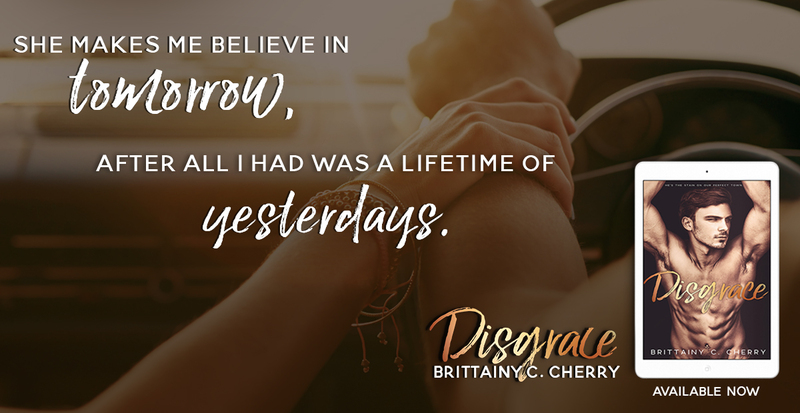 There is just something about Brittainy – her writing style and her stories just click for me. Disgrace is one of those stories that I absolutely loved and was sorry to see it end. At first, it would seem that Hoth Jackson and Gracelyn don’t have much in common. Their upbringing was opposite from one another. Each is viewed in a completely different fashion by the residents of Chester, GA. One is been dubbed Chester Royalty and the other a social monster. And yet, the two have much, much more in common that it would seem. A beautiful story of self discovery. Both Jackson and Grace are faced with overcoming perceived notions of who they are. Of overcoming their tendency to shut others out or to conform to others perceptions. Both characters have strong, redeeming qualities; one can’t help but to root for them to succeed against society pressures. A fast paced and entertaining read. Often funny as well as sad. Overall a sensory perfect read.